Titanium Grade 19 Plate manufacturer, ASTM B265 Gr19 Plate, CP Grade 19 Titanium Plate, Grade 19 Titanium Perforated Plate, ASTM B265 Titanium Plate, Titanium Grade 19 2B Plate, Titanium Gr19 2D Plate, Titanium Grade 19 Perforated Plate, Titanium Grade 19 Flat Plate, manufacturer, Suppliers, Exporters, Mumbai, India. This metastable beta alloy is strip producible and cold formable. The alloy has been used for springs, fasteners, torsion bars and as extruded tubulars for deep sour well applications and is listed with the MR0175 approved alloys. The alloy is heat treatable to a wide range of strengths. Calico Metal Ind Pvt Ltd is international industrial distributor & stockholder of High Nickel Alloy & Super Alloy Materials & associate companies. The Group is active in practically all sectors of industry. The customer is the focus of all activities of the company. The Group's customer oriented approach is supported by the extensive range of products - both in types and sizes - that it handles and the comprehensive service package it offers. 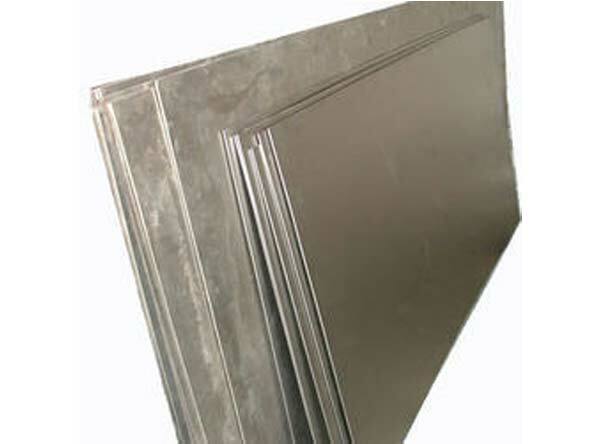 Titanium Grade 19 Plate is lightweight, strong, corrosion resistant and abundant in nature. Titanium and its alloys possess tensile strengths from 30,000 psi to 200,000 psi (210-1380 MPa), which are equivalent to those strengths found in most of alloy steels. The density of titanium is only 56 percent that of steel, and its corrosion resistance compares well with that of platinum. Of all the elements in the earth's crust, titanium is the ninth most plentiful. Titanium Grade 19 Plate has very high strength and can be heat treated. It offers good resistance to stress and corrosion.